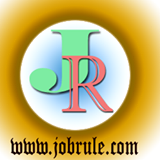 OLG Online Lottery Lotto Max Winning Number Series is 23, 24, 29, 36, 42, 43, 49 Bonus number is 38 for Friday Night 55 Million US Dollar Draw (17th July 2015). 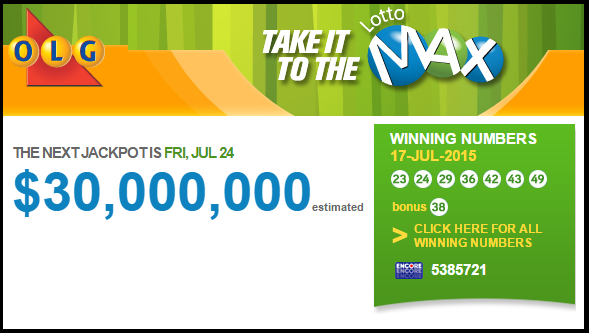 The OLG Lotto Max Jackpot Prize money is $30,000,000 (estimated) for 24th July 2015 (Friday’s draw). Breaking News ! a single winning ticket for the $55 Million Gran Lottery Prize in Friday’s night lotto Max draw was sold somewhere in Quebec (Eastern Canada). Actually, it’s the second largest lottery jackpot in Canadian Lottery History. The largest draw was $63.4 M on 13th April 2013 and there were four winning tickets , each worth $15.9 Million . Congratulation to Lotto Max Jackpot Winner. 3. When the main Jackpot reaches to $50 Million, ,$1 Million Maxmillions prizes will also be offered. 4. All the sets of numbers are eligible for the Lotto Max main draw and Maxmillions draw(s) when held. 8. Lotto Max is available for sale accross Canada . You can buy Lotto Max tickets from local retailer. Lotto Max tickets can also be purchased Online through PlayOLG official website.